In our modern society gambling has many forms: the lottery, horse racing, bingo, casinos, and even raffles-we’ve got it all! When it comes to determining the morality of gambling, we have more defenses that confuse the issue, rather than convictions which clarify it. The dictionary defines gambling as 1) a: to play a game for money or property, b: to bet on an uncertain outcome; 2) to stake something on a contingency. To justify gambling, many people say things such as, “Life is a gamble… A farmer planting a crop each year is a gamble… Every time you drive a car is a gamble.” No friends. Driving a car is a risk. Making a wager on that risk is gambling! 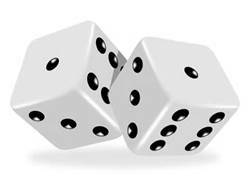 There is an inherent amount of risk in all activities, but the mere presence of risk does not make it a gamble. When the subject of gambling is mentioned, there are those who will also reference stock market investors and suggest, “Buying stocks is gambling, but you think that’s ok.” Is investing in the stock market gambling? When one buys stocks, they are buying part of a company. Stocks are no different than any other commodity. When you buy a house, its value will fluctuate depending on the real estate market. When you buy stock, its value will fluctuate depending on the success of the company. Is there risk involved in purchasing land, stocks, gold or any other commodity? Yes. Is this gambling? No. Gambling is different from taking a risk. When gambling thrives, someone suffers. Lost in the glitter of the multimillion dollar winner are all the millions of losers. The winner won at the expense of the loser. This is not at all the same as planting a crop every year, or investing in the stock market let’s be honest with ourselves. Wading through all our rationalizations and defenses, what does the Bible say about gambling and money in general? First, the Bible gives us three lessons pertaining to money and honorable methods of exchanging money. It speaks of legitimate, honorable ways in which we can transfer things of value. Gambling comes under none of these principles-actually it is the very opposite of them! Please consider the following five principles and think about how gambling violates them, thus violating God’s Word. We need to be so careful friends. Even outside of gambling, we must constantly guard ourselves from slipping into a money loving attitude. When you take your neighbor’s money through some manner in which you neither earned it through work or trade, nor did they give it to you as a gift, you are stealing. This undoubtedly includes all forms of gambling such as office pools or raffles. 4) Gambling breaks the “Golden Rule.” It does not attempt to do something for another, but to take something from another. Mathew 7: 12 “Therefore, whatever you want men to do to you, do also to them, for this is the Law and the Prophets.” How many people would continue to gamble if they were guided by this ethic? His response was illustrated in the parable of the “Good Samaritan.” This parable teaches us that anyone and everyone is our neighbor because Jesus said in verse 30 “a certain man.” If all mankind is our neighbor, than we cannot unjustly take anyone’s money without violating the law of loving our neighbor. When gambling thrives, another suffers. Always take to heart that “legal” and “moral” is not the same thing. If gambling is wrong in principle, then neither the amount gambled nor the reason for gambling is relevant. Clearly the Bible teaches gambling is a sin because of the five principles it violates: the Love of Money, Covetousness, Stealing (even by consent), the Golden Rule, and the Second Greatest Commandment, the law of loving your neighbor as yourself. Prayer is an absolute necessity in today’s time and is something I could work on myself each day. Besides the Bible, prayer is our only weapon we can use. One thing I often find myself doing is saying the same old prayer every night, that is pretty much memorized . I don’t even have to think about it when I pray. Prayer is a much more serious matter. When we are talking to the almighty Creator, we should take it as serious, if not more serious than anything else we do. I heard in a lesson recently that God talks to us through the Bible, in the same sense we talk to God through prayer. That’s not hard to figure out. When you really think about it, it is not something that needs to be routine or something we just do because we feel like it needs to be done. We should do it and mean what we say and strive to pray earnestly every single day maybe even more. Another thing I would like to point out, is when we pray, be respectful. I heard a person pray one time, who started off the prayer with, “Hey, Dad…” Let’s not forget who we are talking to. When we pray, we should show God the respect He deserves with our words, because He put us on this earth and can take us anytime . Jesus, when showing us an example of prayer started with, “Our Father who art in Heaven, hallowed be thy name…” Prayer is powerful and it’s something we all can work on and use in a respectful way. Names were once very meaningful. This is not the case anymore, as people attempt to come up with the most convoluted names for their children and church in an effort to be unique. Whenever a patriarch in the Bible would name their child, they put conscious thought into that decision. 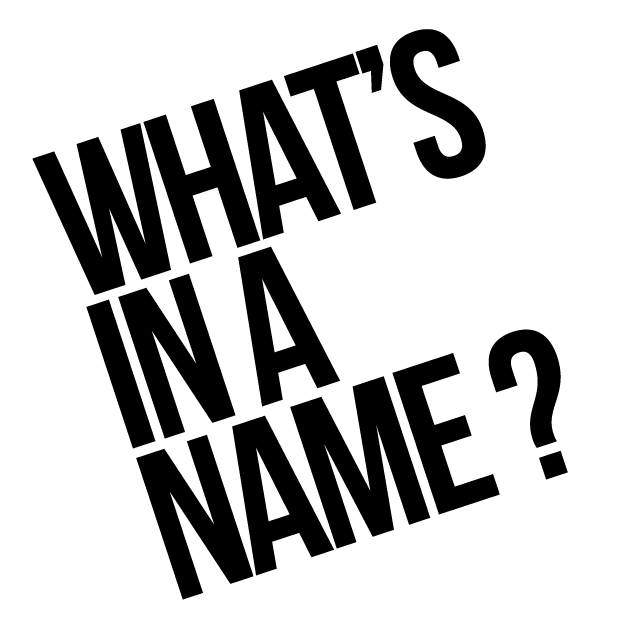 After considering how names were chosen in the Bible, consider the importance of the church’s name in 2015. The very first man, Adam, was named with purpose. Adam’s name is literally translated, “The Man.” Shortly after Adam was created, God brought all living creatures to Adam, and he named each animal one by one (Gen. 2:19). This tradition continued unto the days of Daniel who was taken into Babylonian captivity with his three friends Hananiah, Mishael, and Azariah. These four young boys had names with meaning. Daniel means, “God is my Judge” Hananiah means, “Beloved of the Lord,” Mishael means, “Who is as God,” and Azariah means, “The Lord is my Help.” However, upon being captured by Babylon, Nebuchadnezzar attempted to brainwash these four boys by making them eunuchs, separating them from their families, changing their diet, and immersing them in a three year Chaldean graduate program. Nebuchadnezzar attempted to completely change their identities and loyalties by going so far as to change their names. Daniel became Belteshazzar (Bel’s Prince), Hananiah became Shadrach (Illuminated by the Sun god), Mishael became Meshach (Who is like Venus), and Azariah became Abednego (The Servant of Nego). Nebuchadnezzar realized there was much meaning in a name as he transformed their names from honoring the God of Judah to honoring the false gods of Babylon. To further show the importance of names to God, consider the prophet Hosea. God instructed Hosea to marry a harlot (Hosea 1:2). The purpose behind this was to illustrate how Israel was playing the role of harlot in their relationship to God at that time. Hosea, whose name means, “Salvation,” would have two daughters, Lo-Ruhamah which means, “No Mercy” and Lo-Ammi which means, “Not My People.” These names were paramount in teaching that God would have no mercy on Israel because they were no longer God’s people in that they had been playing the spiritual harlot. Truly there is and was importance in what things are named. 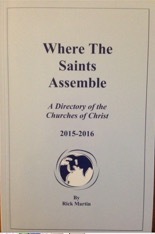 With all the Bible examples just referenced, consider the nomenclature of modern churches. Church names such as, “Church on Fire,” “Hope Church,” “G.U.T.S Church,” and innumerable other silly names are given to these institutions that are acclaimed bodies of Christ. These names make it very difficult for an unbeliever to find the church that Jesus Christ built. The illustration has been made in times past: if an animal looks, sounds, and acts like a sheep, it must be a sheep. However, none of these names resemble the church established in the book of Acts. The churches in the book of Acts looked, acted, and sounded like the church Jesus built because they were called the Church of Christ and carried out Christ’s commandments. Romans 16:16 says, “The churches of Christ salute you.” The church of Christ was also called, “The Church of the living God,” and “The House of God,” (1 Tim. 3:15). The church Jesus built must resemble Christ in every way or it not the church He built. Certainly one would not say, “The Church of Satan” is an appropriate name. Hence, the name does matter. Perhaps there is something to a name after all. We are very fortunate today that with the aid of our civil defense tactics, hurricanes, tornadoes, floods and other similar disasters do not cause as much loss of lives as they once did. We have satellites and radar which provide us with information so we can prepare for these storms. The early Church often faced storms. The early writers often warned of false teachers and doctrines. They faced the storms of paganism and idolatry along with many others. Finally, false ideas on church government caused tremendous damage to the Church and a great apostasy took place. Since the Restoration period, the Church has continued to face storms concerning missionary societies, instrumental music, Sunday School, women teachers, the number of drinking vessels used in the Communion, and a variety of other things. The history of the Church shows us that storms have hit the Church and, in some instances, have ripped it apart. 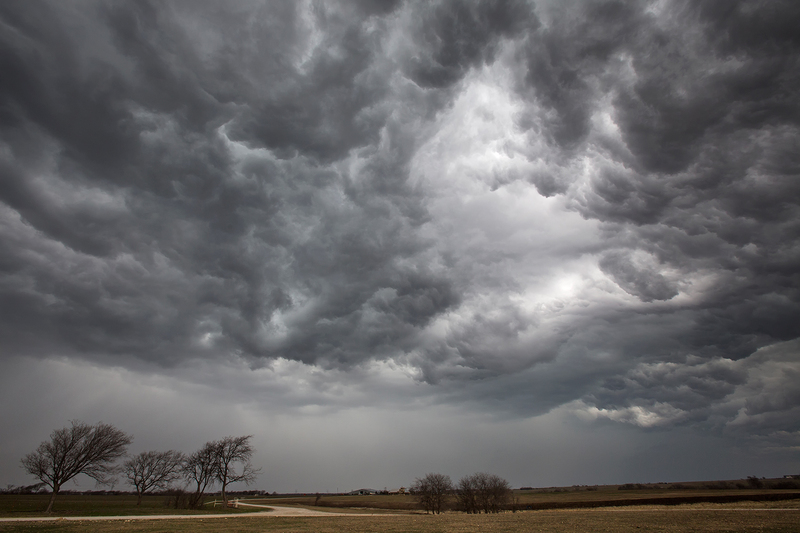 We must not get the idea that the Church of today will not also have its storms. In the coming days, the Church may face many storms and we must be prepared, so the damage will be minimal. Are there any storms that we are facing? Are there any dark, ominous clouds looming on the horizons? There are some (more than can be mentioned in this article), particularly the storms of materialism and immorality. We are living in a day and age in which we have more material things than perhaps ever before. People are so concerned with things. Materialism has taken the place of spirituality. People may have more material things, but the spiritual welfare of people is sorely lacking. Jesus said, “Seek ye first the kingdom of God and His righteousness, and all these things shall be added unto you” (Matthew 6:33). We need people today who put first things first. Unfortunately, many people have their priorities in the wrong place. They climb the company ladder of success, looking for more money, finer clothes, a better car, and a more expensive home. By men’s standards, they seem to be a great success. But, by God’s standards, where do they stand? It is a good thing for us to be a success on our jobs. The problem arises when we neglect things that are more valuable. We cannot neglect our families and the Church. We cannot let the desire for material things stand in our way of serving God. This is a message that needs to be reemphasized in our congregations today. Instead of focusing on material things, we need to focus on spiritual things. Spiritual things need to be first and foremost in our mind. Remember the words of Jesus (Matthew 6:19-21), “Lay not up for yourselves treasures upon earth, where moth and rust doth corrupt, and where thieves break through and steal. But lay up for yourselves treasures in heaven, where neither moth nor rust doth corrupt, and where thieves do not break through nor steal: For where your treasure is, there will your heart be also.” Materialism is a storm the Church is facing-as people become more concerned with the material, the welfare of the Church becomes less important to them. Another storm that the Church is facing is immorality. You may think this to be a bit strange, after all, how many immoral people do you know in the Church? In our world today we see widespread marital infidelity, dysfunctional families and the widening acceptance of what has been called an “alternate lifestyle.” The sin of a man and woman living together without the benefits of the marriage vows now seems to be the “in thing” to do. Celebrities talk candidly about having a baby out of wedlock and others admit and even brag about participating in the sin of homosexuality. We are living in a day and age when morals are severely lacking. I am reminded of the last verse in the book of Judges which says “every man did that which was right in his own eyes.” There seems to be no standards for judging what is moral and immoral. There is a standard-people must return to God’s standard and get their lives in order. How does all of this affect the Church? The more we are bombarded with all of this, the greater likelihood it will have an effect upon the Church. The problem of divorce and remarriage has reared its ugly head in the Church. We must get a grip on this problem because it is a storm that has the potential for causing great damage to the Church. We must not be guilty of failing to teach God’s laws concerning marriage. God’s way is unlike today’s society where people evidently get married with the idea that if they have problems they can always get a divorce. God intended for a man and woman to remain married for a lifetime: (Genesis 2:24) ‘Therefore shall a man leave his father and mother and shall cleave unto his wife: and they shall be one flesh.” Jesus reinforced God’s law concerning marriage (Matthew 19:4-6) “And he answered and said unto them, Have ye not read, that he which made them at the beginning made them male and female. And said, For this cause shall a man leave father and mother, and shall cleave to his wife: and they twain shall be one flesh? Wherefore they are no more twain, but one flesh.What therefore God hath joined together let no man put asunder.” It is quite apparent that marriage was designed to be a lifetime commitment. People need to know that they cannot just divorce and remarry for any cause. Going back to what Jesus said in Matthew 19:4, “Have ye not read, that he which made them in the beginning made them male and female.” We have in our society today a vocal minority who are trying to gain acceptance for an aberrant, abominable, sinful lifestyle. Jesus says a man leaves father and mother and cleaves to his wife, not to a “significant other.” This is a lifestyle that is condemned by God’s word in (I Cor. 6:9) “Know ye not that the unrighteous shall not inherit the kingdom of God? Be not deceived: neither fornicators, nor adulterers, nor effeminate, nor abusers of themselves with mankind.” God destroyed the cities of Sodom and Gomorrah because of this sin. The more people are inundated with such behavior, the more acceptable it will become. You say it will never be accepted in the Church and that is true; but this militant group sees as its major adversary the religious community. They have a plan to overcome what they consider to be bigoted, hatred, and uncompassionate attitudes. They seek to prohibit condemnation of their sinful lifestyles, even from the Church pulpit. Unfortunately the Church must prepare for the storm and continue to stand firmly against all sinful lifestyles. Surely there are other storms that the Church will face in the future. Brethren, think on these things-the Church needs to prepare for the storms. In Matt. 27:1-10 we are introduced to the scene where Jesus is bound and lead to Pilate the Roman governor. Amidst this commotion Judas shows his face again to the chief priests and elders proclaiming that he had “betrayed innocent blood.” The unsympathizing and cold hearted leaders told Judas “What is that to us?” Or in other words “Why should we care how you feel?” Judas then threw the money down and went from their presence and hang himself. It would be a tragic ending, to face God in judgment as the one who Christ said that “it was better that he had not been born,” (Matt. 26:24). The prophecy is fulfilled which Jeremiah wrote of according to Matt. 27:9 “that they took the 30 pieces of silver, the price of him that was valued, whom the children of Israel did value; and gave them for a potters field.” Notice the words – “the price of him they valued.” This is what they valued Christ as, 30 pieces of silver. Have you ever heard the saying “anything is for sale for the right price?” Is that true? Is that an absolute on everything in our lives? May I ask you how much do you value Christ? Would you sell Jesus as Judas did? The Bible warns of selling out in our walk as Christians – compare the following verses: Luke 9:62, Heb. 10:28-29, and 2 Peter 2:20-22. I hope the following poem which I wrote will allow each of us each to question how much we value Christ. What would it take for me to crucify Jesus ? What would it take for me to slay his innocent life? When I have sold to Satan, Jesus today? For me to pick up the hammer and drive the stake? To sit and watch as he hangs condemed to die? What would it take to sell my love of God? What would it take to part with my treasure above? If I can find a bargaining price for Satan to pay? Can I sell my blessings to come for pleasures of today? Can I denounce my faith when trouble comes my way? Is it in me to throw my God away? Oh what in me would compel my soul to sell Jesus today? If I could take Jesus out of my heart, and off its throne. Then I can assure myself I am not fit to be alive today. May each one of us stand and be determined that no matter what , we will not put a price tag on Jesus. How much do we value the Lord of Lords and King of Kings. Instead of selling Jesus for worldly gain we need to have the determination of the man who Jesus spoke of in his parable, who when he found the pearl of great price went and sold all he had to obtain it (Matt. 13:45,46). Can we answer these questions: Are we willing to sell all for Jesus? Or will we sell Jesus for all? 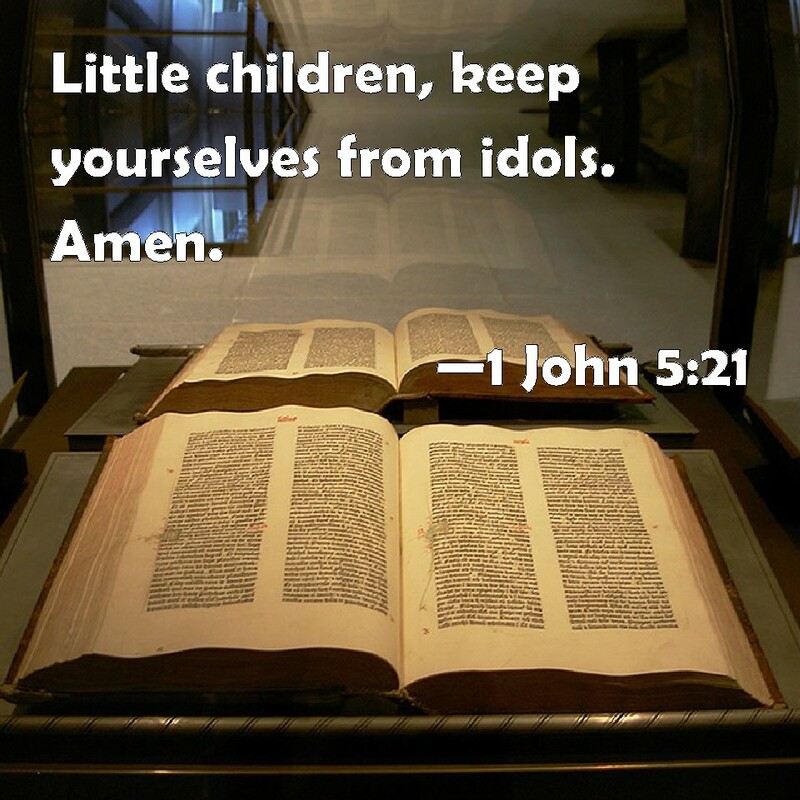 There are countless ways to say, “goodbye”, but John chose a line that is perhaps a bit more out of the ordinary: “Little children, keep yourselves from idols” (1 John 5:21).The command itself isn’t strange, but the location seems out of place. But as the Holy Spirit directed John’s writing, it was what He knew the readers needed to be left with as a statement of final impact. Just as in the times of John, we today have idols that need putting away with. These idols that need to be put away from the believer must be removed, passionately, constantly, and ruthlessly. A reason idolatry is such a temptation is due primarily to the fact that we have an incorrect definition and image of what idolatry truly is. One writer said it best: “An idol is anything we want more than God, anything we rely on more than God, and anything we look to for greater fulfillment than God. Idolatry is thus the hidden sin driving all other sins.” So we are left looking at our lives and we find ourselves dismissing the idea of idolatry because we don’t have a golden calf, or a statue of Buddha, while instead we know more statistics about our favorite sports team than we do Bible verses, and thus an idol arises in our life when we put something, no matter how small it may be, before God. In 1 Thessalonians 1:9-10, the Bible describes our new life, our new birth in Christ in this way: “You turned to God from idols to serve the living and true God.” Becoming a Christian is a life turned from idols; and yet in no way does becoming a Christian divorce us from the temptation of idolatry. You see, idols know no bounds, they do not discriminate, nor are they discriminated against, they can be anything; from Facebook to money, etcetera. Which is why Paul in 1 Corinthians 10:14 says to “flee from idolatry.” If you are going to be a faithful Christian, a battle you will constantly face is that of Idolatry. So how do we overcome it? There are three ways we do this. Firstly, we identify the idol. Matthew 7:1-6 teaches us about self-examination and it says in Verse 5. “First remove the plank from your own eye” before we can be the people we ought to be we must first self-examine, and remove what is separating us from God, yes idolatry separates us from God, “You cannot serve God and mammon” (Luke 16:13). Secondly, we need to renew our minds. Romans 12:2 tells us not “to be conformed to world, but to be transformed by the renewing of our minds.” If we think in our minds that an idol is better than God we will serve the idol. We need to have our thinking changed. Why do we need this? “For God is greater than man” (Job 33:12), and in extension, anything that man could make an idol, God is greater than. Thirdly, we need to cherish Christ. This is the goal of mind renewal. The more we cherish Christ, the more idols will lose their appeal. As the great hymn reminds us, when we survey what Christ has done for us on the cross, “all the vain things that charm us most” simply lose their appeal. In Conclusion, God to His people says in Exodus 20:5 “For I the Lord your God, am a jealous God.” This phrase alone should be enough to motivate us to know God and His word more than we know this world. 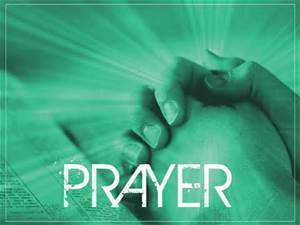 Prayer is an essential part of the Christian life, Martin Luther King Jr. once said: “A Christian living without prayer is like a human living without breathing.” To say it more plainly, prayer is essential for the survival of a Christian. But then we wonder, is prayer only for our psychological benefit or does God indeed answer? ​Many who will see this question will give the answer that God does hear and answer our prayers. But what can often be forgotten is the idea that prayer does have Psychological benefits for the one praying. Dr. Henry Morris once wrote of Prayer saying “The psychological and therapeutic values of prayer are very real and important.” The Bible then would back up his claims in Philippians 4:6-7 saying: “Be anxious for nothing, but in everything by prayer and supplication, with thanksgiving, let your requests be made known to God; and the peace of God, which surpasses all understanding, will guard your hearts and minds through Christ Jesus.” When we pray to God we can have peace of mind that whatever weight is on our shoulders, what fear we have God will see us through it. So through prayer there are some amazing Psychological benefits. But the greatest blessing of prayer is the fact that God does indeed answer prayers. ​For the Christian Christ tells us that “men always ought to pray” (Luke 18:1), but we do not pray without hope, for God has promised to answer prayer. Jesus said: “Ask, and it will be given to you; seek, and you will find; knock, and it will be opened to you” (Matt. 7:7). This promise of answered prayer has been confirmed by countless men of the Bible like Elijah who prayed for rain and rain fell on the earth, but also by us as we pray and see the fruit of answered prayer all around us. Yet answered prayer does not come without certain conditions first being met. The first being that there is no unconfessed sin in our lives, the psalmist wrote: “If I regard iniquity in my heart, The Lord will not hear” (Psalms 66:18). A prayer by men living in sin is not a prayer heard by God. Another condition for answered prayer is Faith, Matthew wrote: “And whatever things you ask in prayer, believing, you will receive” (Matt. 21:22). When we go to God in prayer it will be fruitless if we don’t believe God can do what we are asking. Finally, ones purpose in prayer is important. Selfish, covetous prayers are not acceptable to God. “You ask and do not receive, because you ask amiss, that you may spend it on your pleasures” (James 4:3), one of the reasons the question we are looking at today ever came about was because some people never received the answer they wanted from a prayer, their problem? They asked amiss.